Excellent question and one that is worth discussing. First, let’s look more closely at the adductors, the muscle group that are the inner thigh muscles. I suspect that she has tibial torsion, Barbara. I’m curious what strengthening exercises she was given. Most likely non weight bearing strengthening of the quadriceps and while that is good, especially if the medial quad is weak – I would have you pay very close attention to the weight on her feet when she stands and how well she is using her turnout. It is quite common that when going to intensives students have a way of overdoing their first positions to make it look good and can easily strain the area of the knee since this is where they create turnout when they aren’t using it from the hip. Sometimes they also pronate the foot to create a better first position. I’m going to answer 2 questions – one at the top of the leg with a hip injury and another at the foot. Especially with foot injuries there is such potential for compensation and shifting your weight subtly in order to continue walking and dancing and so I encourage everyone to pay attention to the small tweaks and strains that can occur! I have a 12-year old daughter who is very serious about her dance development and who has been concerned about pain in her big toe. While rehearsing for a show she hit her toe on her leg and has been complaining ever since. We have been to the doctor and have been given advice (such as Advil) but her pain continues. I’ve noticed that her toe is moving slightly towards the other toes while her bone remains fixed in its position. There must be some exercises she can do to strength that area. It sounds like your daughter has had a ‘turf toe’ injury. It is common in football players (and dancers) and usually is caused by either stubbing or jamming the toe as your daughter did. The challenge is in the recovery. The original injury creates soft tissue inflammation and that is why your doctor suggested doing an anti-inflammatory such as Advil. The challenge is your daughter has continued to be on her feet, both just walking and dancing, and often the joint doesn’t heal fully enough and is the cause of her continued pain. You didn’t say how long ago the injury was but if her toe continues to have pain the doctor may choose to put her in a walking boot temporarily in order to give the joint a rest and allow it to heal. Icing 2 or 3 times a day along with other anti-inflammatory efforts would continue while she is in the boot. As far as the big toe starting to move towards the other toes – you are right about thinking something needs to be strengthened. We want to prevent what sounds like the start of a bunion pattern – and you do that by strengthening the intrinsic muscles of the feet. If you click HERE this will take you to a blog post where I have a short video on how to strengthen the intrinsic foot muscles. Tell her that if she cramps when she is doing it – it simply means she has found the weak intrinsics and with continued practice they will improve! The primary concern is that she gets on top of this injury – instead of allowing it to become chronic. Bottom line – her big toe needs not to hurt! Three months ago I was doing a heel stretch in one of the classes I assist in and my hip made a big cracking noise. It started to hurt but not that bad. But it still hurts today and I don’t know why. I sit in a straddle stretch and it hurts my hip when I stretch. Also, when I do a barre stretch or sit in my splits it hurts. Do you recommend any stretches to help it get back to normal? Meghan, sometimes muscle strains can take a really long time to heal – and I’m not exactly sure what happened when you hear the hip crack or pop three months ago. 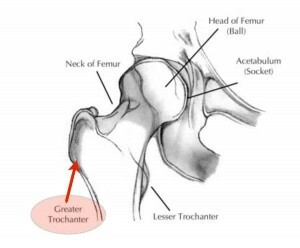 It’s possible that you strained either an inner thigh muscle and/or the deep hip flexor (iliopsoas). I would encourage you to stretch gently and consistently for these two muscle groups. Instead of sitting in the straddle position which creates discomfort try standing up and placing one leg on a chair and stretch the inner thigh muscles one side at a time. For the iliopsoas muscle I would have you do one of the stretches outlined in the video clip below. Remember to breathe and move gentle and easily – listening to your body – stretching should never be painful! Do your stretching when your muscles are warm – after class is a good time. Teachers and assistant teachers have to be careful about their demonstrating in class when you aren’t really warmed up! Hope this helps…. and remember to comment below, especially if you have had similar injuries please share what you did that helped! In the last post we saw a good example of a popping and snapping hip and I talked about the possible reasons for a popping/snapping hip. Many of you appreciated the post and have asked me to talk about the hip pops that happen in the front of the hip. That’s been duly noted and is on the list for a future topic to look at in the Dancing Smart newsletter. Today let’s look at some stretches that you could do to work with the side hip pops. Let’s start with stretching out the back of the hip. There are many different ways to work with the turnout and gluteal muscles, and I have shown you recently one of my favorite sitting stretches. Let’s add another stretch into the mix and see if it works better for any of you. Begin lying down on the floor on your back, and crossing one leg over the other. Lift your other knee up by grasping around the back of the thigh. Now gently press the knee of the crossed leg away from your body (that would be the right leg in this picture) as you bring the left thigh slowly closer to your chest. This is an active stretch. You are actively contracting the turnout muscles on the right side, while you are stretching them by bringing the legs closer to your chest. In essence, this is a variation on the sitting stretch that was demonstrated a few weeks ago. It’s good to have many ways of stretching so you can figure out the best ways for you. We aren’t all built the same – and what works for one person – doesn’t always for the next. Stretching the muscles on the outside of the hip (the abductor) can be easily done inthe standing position. The photo on the right shows the most popular way of stretching those lateral muscles. I also encourage dancers to use a tennis ball or pinkie ball against the wall to release and massage those often tight muscles. 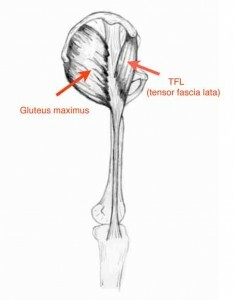 The muscle that usually needs stretching the most is that all important but now always acknowledged turn-in muscle, the tensor fascia lata or TFL. Curiously, this week I assisted 5 dancers in getting a good release and stretch of their TFL muscles and it was magical when they came back to standing on one leg. They felt like they could stand up more easily and effortlessly and access their turnout muscles without strain. To stretch the TFL – lets use the popular iliopsoas lunge stretch and then shift from stretching the front of the hip to feeling the stretch towards the outside of the front of the hip. The picture on the left is stretching the front, and then as the dancers turn towards their front leg they can feel the stretch moving to the side and are now stretching the TFL muscle. If you don’t feel a stretch in that area – no problem – typically means you aren’t tight there! But if you do feel a strongish stretch it would be a good variation to add into your stretching repertoire. I hope everyone has a glorious Thanksgiving week. I am thankful and appreciative of having such a warm and welcoming dance community – thank you for being a part of my life! Today’s posting looks at another way to help get your extensions higher and développés even smoother and more controlled. It has to do with the wonderful iliopsoas muscle that you hear so many anatomists and body workers talking about! I know I’m someone that always looks at this muscle carefully when I am assessing someone’s standing alignment. It is such a major postural muscle and so strongly influences how the pelvis sits on the legs that deserves some extra attention. When overly tight it can pull the lower back into a swayback. When it is overly weak it makes it hard to get the leg much over 90 degrees. 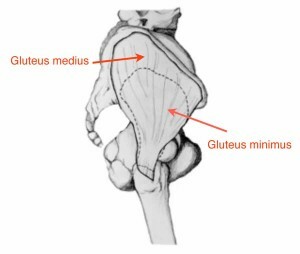 The quadriceps which also are hip flexor muscles like the iliopsoas (or psoas as many people shorten it to) are working hard, but they simply don’t have the leverage to get the leg up as high as what is necessary for dance today. I was recently in Seattle working with students from the Allegro Performing Arts Academy and showed them a way to inconspicuously strengthen their iliopsoas while sitting in school waiting for class to begin. By the way…. these students were wonderful! So curious, open, and willing to work hard to improve their technique by understanding how the body really works! It’s such an easy way to work strengthening the iliopsoas, and then you can simply swivel around and do a sitting lunge stretch to release the tightness form the iliopsoas. A different way of strengthening was shown in a previous post and I’d like to repost that video in the newer format for all those who had trouble opening it. You can use a theraband wrapped around the thighs and then slowly working to come more upright to simulate doing an extension to the front. Of course the more you are upright – the harder it is! Remember to slightly turnout the leg when practicing these as well as doing them in parallel. It won’t take long…. just 3 or 4 weeks for you to see and sense improvement in the control and height of your extension. http://thebodyseries.com/wp-content/uploads/2017/02/bodyseries_logo-1.png 0 0 deborah http://thebodyseries.com/wp-content/uploads/2017/02/bodyseries_logo-1.png deborah2011-11-01 16:05:002015-01-12 11:28:11Getting higher extensions! Today’s video blog shows you my new favorite way of stretching the turnout muscles. No floor needed… just a chair:) Makes it easy for a dancer to get a quick stretch in while at school or sitting at the desk. Last week’s post on testing turnout got some great comments from dance teachers that you’ll want to check out! It’s great to hear from dancers ‘in the field’ so keep those comments coming! Click the image below and you’ll be taken to the 4 minute video clip. See you next week when I explain the details of the tried and true clamshell strengthener! I’d like to ask you a question about improving turn-out beyond what is evidenced in the “prone, 90 degree knee flexion, rotate the leg in and out test”. I am sure you’ve been asked this a thousand times, but I am just curious if the results from that test ever change, or is it purely structural? Will the turnout on a student with “average 45 degree” rotation ever improve in the socket? or do they have to be particularly careful (like all dancers, even with more turnout) not to take it in the knees and ankles beyond 45 degrees? Good question! I’m going to answer via video… I learned how to insert pictures into the video to make it better…. I think I’m really going to like video-blogging! Just click on the picture below – a new window will open up with the under 5 minute video answer. Enjoy! http://thebodyseries.com/wp-content/uploads/2017/02/bodyseries_logo-1.png 0 0 deborah http://thebodyseries.com/wp-content/uploads/2017/02/bodyseries_logo-1.png deborah2011-08-31 16:55:552013-10-08 13:38:19Is Turnout Testing Accurate? Reminder…. the New Year’s special ends in less than 48 hours! (Through Jan. 5th) Just put TBS2011 into the coupon box to get the $45 off. Onto the questions of the week…. I have just started dancing! I’m 18 years old and a freshman in college! Today during tap class I was brushing my left foot while hopping on the other. My hopping knee started to hurt a bit so I stopped. I read your article on pronation, and I used to wear little inserts occasionally to help with my feet, but that was in my early teen years and it wasn’t really monitored. My knees have given me trouble randomly throughout my life, and I’m starting to think the problem is with my knees not my feet. I am an aspiring actor who is taking dance to help get in touch with my body, and I don’t want to end up with a serious injury. Congratulations on starting to dance – doesn’t it feel great!! I want to say that I know dancers who went on to dance professionally – after starting in college – so it’s never too late! I wouldn’t jump to putting the inserts into your tap shoes. My first thought is that you probably haven’t been jumping on one leg very much and your quadriceps are weak. It takes a lot of strength to do multiple jumps on one leg – no matter whether you are in tap class or ballet class. Start strengthening by simply standing on one leg (in good alignment) and even weight on the 3 points of the foot. Can you easily stand on one leg and toss a ball back and forth between your hands for up to a minute? Then progress to standing on one leg and doing baby demi pliés. Watch for locking back into hyperextension when you straighten. Just come up to straight, and go 2 – 3 inches into a demi plié. As you build strength you can deepen your demi plié, but that take some time. Single leg demi pliés are a simple but very effective way to strengthen the muscles around the knee! Hope you get to take another dance class next semester! I am a 13-year old dancer and I’ve been dancing for 9 years, however I have flexibility problems. The main thing that I feel is holding me back is my having tight hamstrings (although my hips, calves, and Achilles tendon are also tight). It’s probably something hereditary, because my mother said she has had tight hamstrings all of her life and could never fix it. Because of my tight hamstrings, I can’t get into my middle split, and it affects my developpes and grande battements in all the positions. I was wondering if you had any suggestions on how to fix this. I’m going to show you my favorite variation on hamstring stretching. Place your leg on a chair or other surface that is below hip level. Gentlypress your heel into the chair while flexing forward at the hip joint. Keep your pelvis square while flexing forward and keep pressing down on the chair throughout the entire stretch. Go only as far as is comfortable and come back up. Do the other side. You may notice that this way of stretching feels different – you might feel the stretch over a larger area. It is a dynamic way of stretching your hamstrings. Do this stretch consistently for a few weeks and note the difference in your flexibility. I’ve had dancers who haven’t improved with regular hamstring stretching begin to see a difference with stretching in this way.